NEW YORK, NY–(Marketwire – Oct 1, 2012) – IPO Village, the first of its kind crowdfunding platform to host initial public offerings, announced today that they have received over $1 million in pledges for their first crowdfunded IPO set to go live in the coming weeks. IPO Village is an organization that uses crowdfunding to bring exclusive pre-IPOs to the everyday retail investor, allowing “Main Street” investors to access stock that was once only reserved for the Wall Street elite. 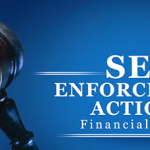 While investors are not committing themselves to purchase stock, they are securing their place in line. Once an investor signs up on their website they receive an email giving the name of the company and detailed information to begin their research, before making an investment decision. When the offering comes out of the quiet period, investors who sign up will receive an alert letting them know that the opportunity to purchase stock has opened. Investors will receive the option to purchase the pre-IPO stock based upon the day that they signed up on the site. There’s only a short period of time remaining before the first official offer goes live, but IPO Village is already more than half way towards reaching its goal, since over a million dollars has already been pledged. With such aggressive interest already in place, the Company strongly anticipates that their first offering will sell-out very quickly once investors are allowed to start investing as the line of investors surpasses the 1000+ mark. IPO Village does not have to wait until the JOBS Act is fully implemented in 2013 as they are “crowdfunding” publically traded stock. Their launch will mix high-tech and traditional finance in a way that has not been seen before. 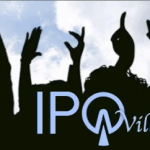 To learn more about crowdfunding IPO investments, gain more insights on IPO Village, or secure your place in line, visit IPOVillage.com. IPO Village offers IPO investment opportunities to every retail investor. 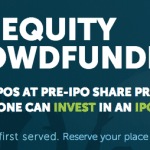 While other crowdfunding type sites focus on private offerings, IPO Village’s hosted public offerings provide its member investors with liquidity and a foreseeable exit. 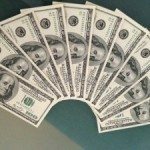 The Company employs a “first-come-first-served” policy with all parties equally welcome to invest. 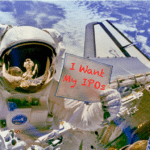 Since IPOs are typically oversold, IPO Village guarantees a place in line and encourages retail investors to sign up now at www.ipovillage.com. This entry was posted in General News and tagged ipovillage. Bookmark the permalink.